Watch The X-Files Season 11 With Us! Premiere day is almost here and we're excited to watch the new season of The X-Files with all of you. We'll be live tweeting every episode on Twitter in both Eastern and Pacific time zones so follow along with us @xfilesnews. As we've done in the past, we'll also be collecting everyone's thoughts in our Best Tweets feature so be sure to use each episode's hashtag to be included. We'll publish those 24 hours after each live viewing to give fans outside the U.S. a chance to watch too. We'll also be rewatching each new episode on Sundays, at alternating times to give more people a chance to participate. See below for episode names, hashtags, and rewatch times. Print this flyer (see above) about the FBI's most unwanted agents, Mulder and Scully. 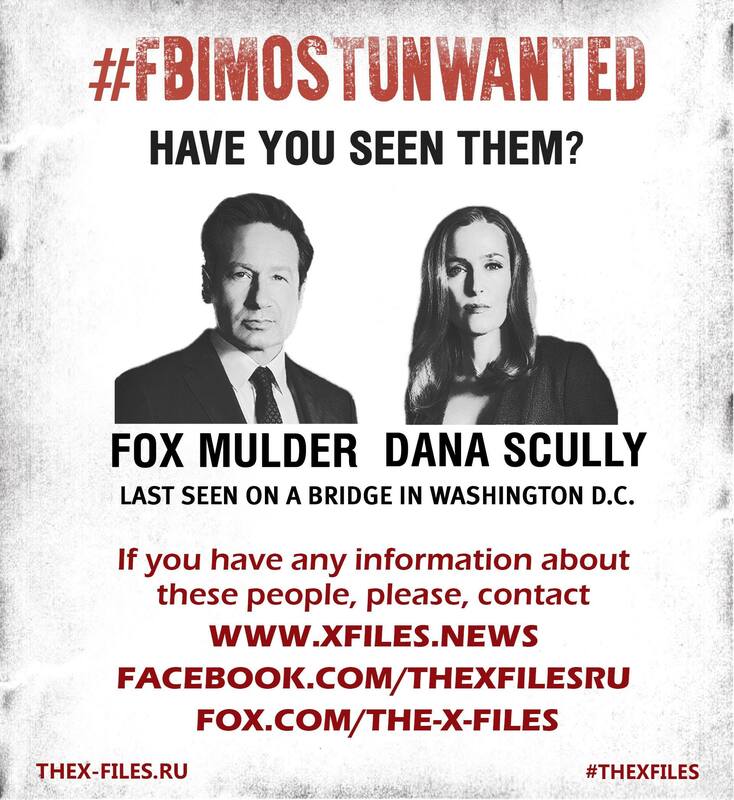 Take pictures of the posted flyer and share it on all your social networks with the hashtags #FBIMostUnwanted and #TheXFiles. Include information about your location in the photo description. The most interesting photos will be shared on the Portal's social media. Mulder and Scully return to FOX on January 3rd, so there's precious little time to spread the Truth. Win a Copy of The X-Files: Season 10!